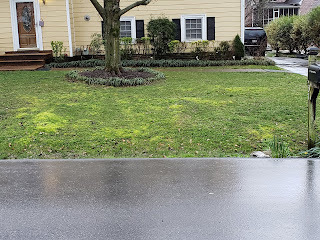 Getting alot of calls concerning the amount of moss currently present in the lawns in early 2019. Why do I have so much moss? Do I need lime? What should we do? 1. Moss needs surface moisture to thrive. The amount of rainfall during January and February 2019 is pretty staggering compared to normal. We also haven't had very many "frozen soil weeks this winter. Moss will show up in low light, poorly draining soil areas. Until the surface can dry out for extended periods = more than a day or too, moss will continue to dominate the above environment. 2. Lime - the only time lime will generally be needed to change the soil ph to discourage moss and encourage turf is where moss is actively growing in full sun conditions during dry weather. 99% of the moss we see now are low light, poorly draining areas. 3. What can we do? Once the deluge of rain stops and soil surface can dry, there are herbicides that can effectively control moss without harming turf. If those are used during the wet, cool conditions we have now, new moss will regrow rapidly to replace killed moss. Therefore, that would be wasting the herbicide and not making an improvement in the moss control. Let us know in ealry April if you have significant moss areas that need addressing. 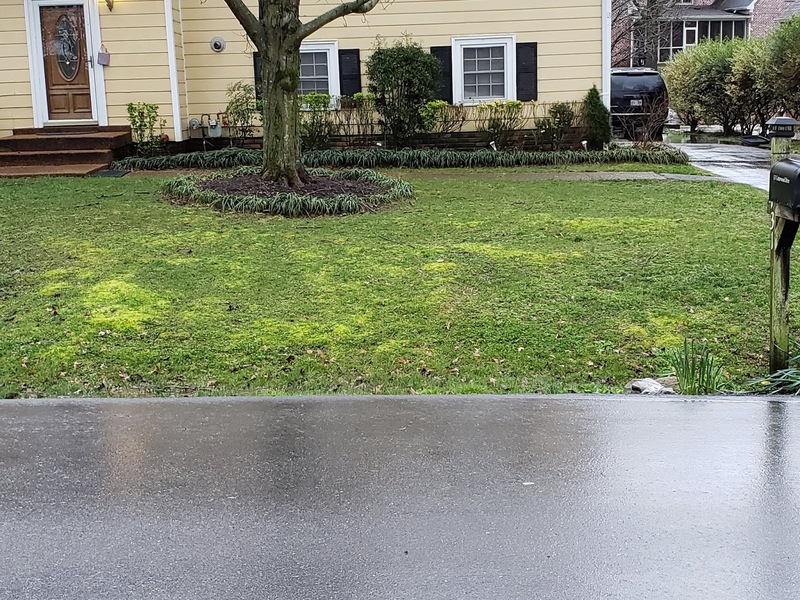 Remember, moss is basically a symptom of wet soil surface. Improving drainage and providing more sunlight are key to long term successful control of moss. Improved drainage + increase sun + moss control herbicide are the combinations needed to reduce moss invasion!